Marlies was born in 1948 in Bedum, Groningen, the Netherlands. The basis for an intercultural development comes from language learning, of which Gronings, a Dutch dialect was the first and then the learning of Dutch in kindergarten. She went to the secondary school for girls in the town Groningen, after finishing this school, she moved to Steenwijkerwold to attend the breeding school there, from 1965 to 1968. 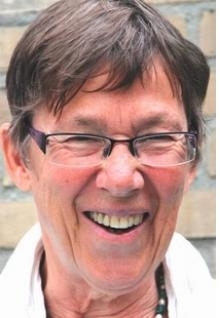 After having been a primary schoolteacher in Groningen for three years, she started a pedagogy study in Groningen, specializing in Educational Sciences (1971) until 1978). At that time, living in Leeuwarden, the first two children were born Frans (1975) and Maarten (1977). In 1980 she went to Mozambique together with Sytse and the two children. In the preparation for this voluntary work Sytse and Marlies learned Portuguese language in order to be able to teach in Mozambique. They went to the village of Chokwé. Here their third child was born. Later she worked as a teacher of mathematics at the secondary school in Chokwé. In 1982 the family moved to Maputo where Marlies first worked at the International School for two years as a teacher in group 1 and 2 (6 and 7-year-old children, in a very international community). She then participated in the distance learning project where primary school teachers in Mozambique continued to be trained in the knowledge of the 5th and 6th grade of primary education. In 1985 Marlies followed with Sytse a basic course of co-counselen which has become a valuable way to handle emotions well! In 1989 the family returned to the Netherlands and settled in Wageningen. In the Netherlands, Marlies worked successively at the International Agricultural Center in Wageningen, at ICCO in Zeist, at Diaconale Raad van de Hervormde Kerk in Driebergen as project assistant, at the Agricultural University in Wageningen as a trainer in didactic skills for teachers, and as coordinator training at Fair Trade Assistance in Culemborg. As coordinator training for Fair Trade she traveled all over the world to train people in very different areas of communication and sales. She learned to speak Spanish. In 2001 she moved together with Sytse to Zwolle, where she worked as an intercultural communication teacher at the University of applied science Windesheim from 2002 to 2011 at the International Business and Languages department in Zwolle. At that time, she continued to train in Nonviolent Communication from Marshal Rosenberg, with Giraf language and Jackal pitfalls., as mediator, co-counselen (www.co-counseling.nl) in NLP and bodywork. In 2011 she retired and from that time she dedicates herself, together with her husband Sytse, to giving courses NLP and Nonviolent Communication in Zwolle and other parts of the Netherlands, in Israel and Palestine and in Croatia and Serbia and for shorter workshops in Brussels, Gabon, US, Canada, UK, New Zealand, Ireland and Germany..
A great source of inspiration is and remain the Quakers, where she has been the clark of the Annual Meeting of Dutch Quakers since 2012. As our son in law is from Israel, living in the Netherlands, we are closely related to his family in Kiriat Haim, from which we gratefully experienced their hospitality. 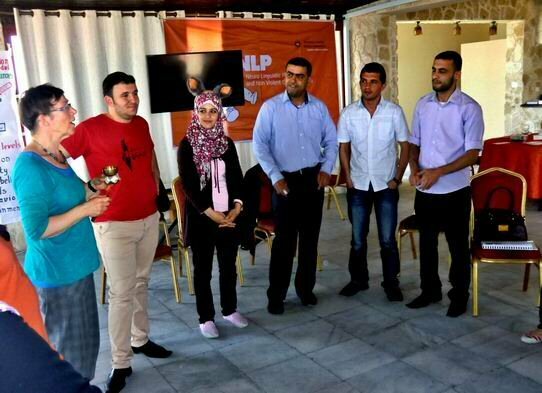 Together with Sytse she gave a basic NLP course, and three follow-up courses NLP for the staff and volunteers in the youth prison Dar al Amal (house of Hope) in Ramallah in April 2017 and shorter workshops for Women, Young people and youth in Bethlehem, organized by the Arab Educational Institute. Also, together with Sytse she gave NLP workshops in Novi Sad and Sombor, Vojvodina, Serbia and in Zagreb, Croatia in May 2017 and 2018. Marlies has been a volunteer for Neighborhood Mediation in Zwolle for years. 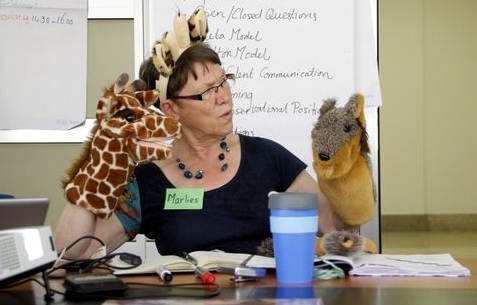 Marlies and Sytse gave NLP workshops in Hungary, Israel, England, Ireland, Germany, Scotland, Hartford, Connecticut USA, Vancouver Canada, New Zealand. Sytse was born in 1946 in Venlo, Limburg, Netherlands. From 1954 to 1956 he was the leader of 'the club of five' (boys) and organized great discovery bike tours in the surroundings of Venlo. In 1956 he moved with his family to Wageningen-Hoog, Gelderland, the Netherlands. From 1958 to 1971 he was a member of the NJN de Netherlands Youth Organization for the Study of Nature he had various functions and ended as national chairman. From 1964 to 1971 he studied biology at the University of Groningen with the main subject Animal Ecology and sub-subjects Animal Behavior and Animal Physiology. In 1968 he traveled hitchhiking to India and back. In 1970 he met Marlies at the VIA, (Voluntary International Action), where they did during the weekends wallpapering and painting for people who needed it. They married in 1971. From 1971 to 1980 he taught biology, first a year in Meppel, later in Leeuwarden. From 1980 to 1982 he taught chemistry and mainly biology in Chokwe, Mozambique. from 1983 - 1989 he then worked at the Universidade Eduardo Mondlane in Maputo until 1989. He was attached to the faculdade de educacao (teacher training), but also worked for the biology and veterinary faculty. From 1989 to 1990, he worked successively at the National Institute for Nature Conservation, the Department of Nature Conservation of the then Wageningen Agricultural University, the department of educational science of the same University, the green wheel in Wageningen and the Agricultural College in Den Bosch. From 1991 to 1997 he worked as a policy officer for environmental education at the Environmental Department Midden-Holland in Gouda and, among other things, set up the 'waste cycle-tour for secondary school youth'. 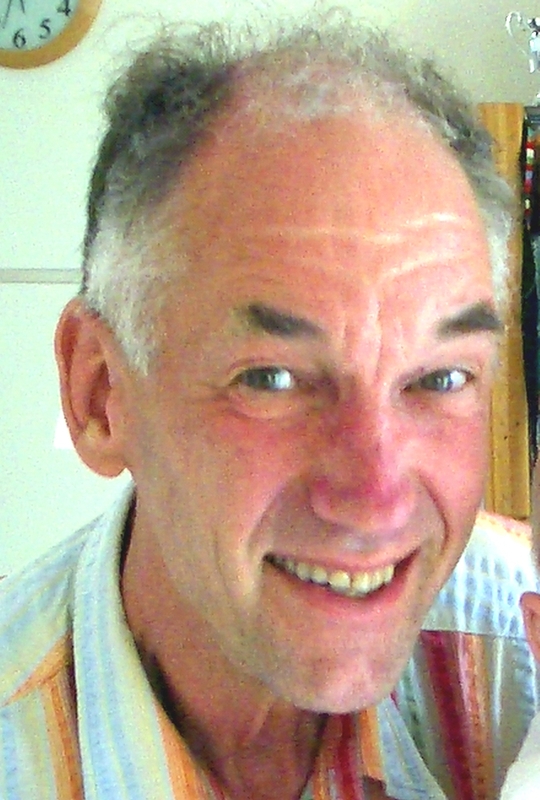 Partly at the same time from 1992 to 2011 he worked at the Hogeschool Windesheim in Zwolle. He was a biology teacher, teacher trainer and NLP trainer. 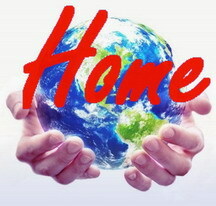 In August 2010 they gave an NLP course of three days in Gabon (West Africa). In October 2008 he gave an NLP training of ten sessions in Vukovar, Croatia for the Coalition for Work With Psychotrauma and Peace. This was followed by NLP training sessions each year, together with Marlies in Vukovar (2009, 2nd time), Osijek (2010), Zagreb (2011), Rijeka (2012) and Rijeka and Split (2013) for the Victim and Witness Support Service. The plan is for a basic course from 26 - 30 April in Zagreb and from 1 - 6 May in Vukovar or vice versa. In July 2013 and 2014 they gave an NLP summer week in South Limburg. 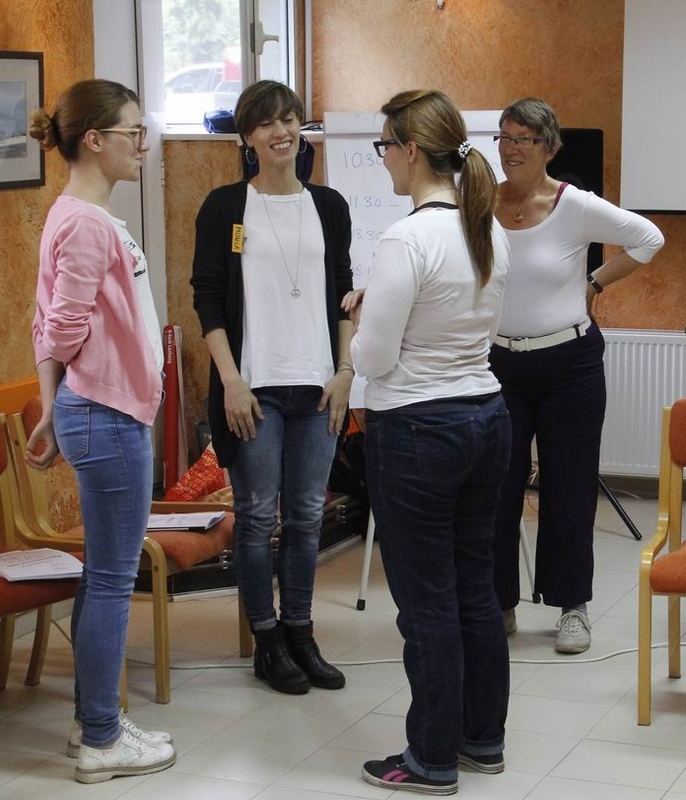 In July 2016 they gave an NLP basic course in Sombor, Serbia. In June 2017 they gave workshops of one and two days in Novi Sad and Sombor, Serbia, and Zagreb, Croatia. 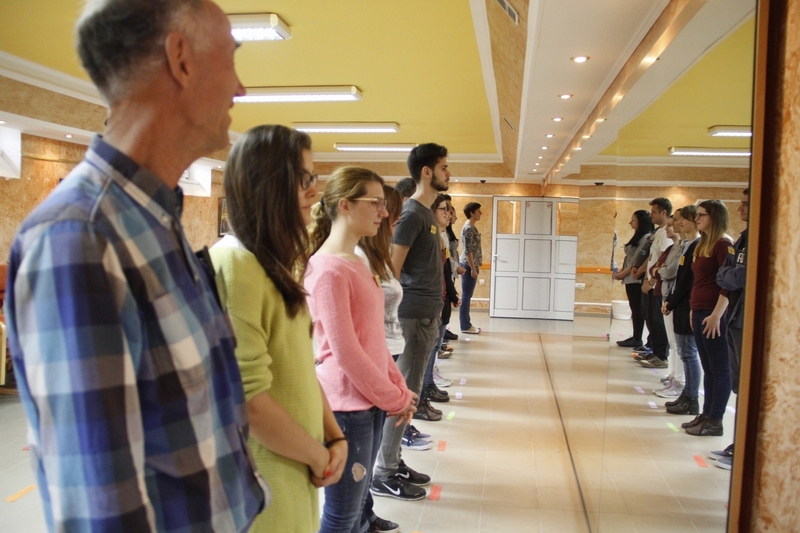 In October 2018 they give a workshop of two days in Sombor Serbia. Ramallah: October 2013; NLP Practitioner exam: Ramallah October 2013, Gaza April 2014. In Israel they were running several workshops for the co-counsel-community of Dror, a group of Bedouins, and Nes Ammim. In April / May, October 2016, April 2017, October 2017 and April 2018 they gave a basic course and follow-up courses to nearly 30 staff members and volunteers at the Dar al Amal, House of Hope, where boys convicted of crimes are being prepared for society again. They offered also several workshops to staff and the boys of Dar al Amal, the Youth Prison in Ramallah.